Fun Fourth of July Craft – Color and Trace! The Fourth of July holiday weekend is almost here! We love this fun patriotic craft. 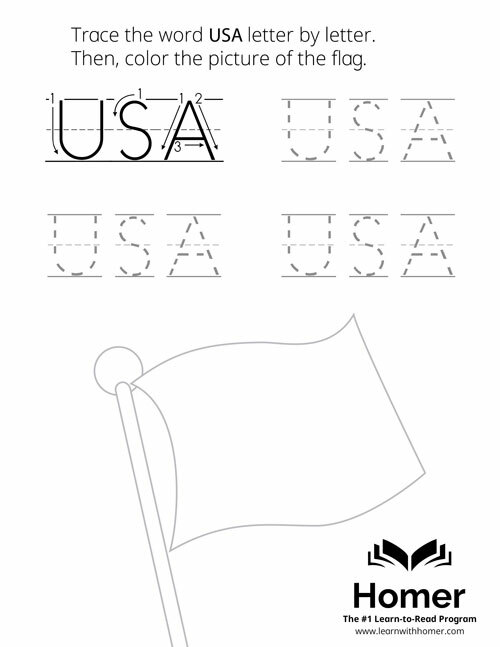 Encourage your child to color the flag and trace over the letters. This builds fine motor skills which are necessary for writing!